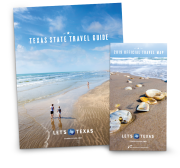 Texas&apos; barbecue belt is packed with destinations that would each be number one in any other state. In Texas, it&apos;s a hotly contested toss-up. Whether you&apos;re a fan of pulled pork, fatty brisket, or tender ribs, we give a rundown of the state&apos;s meaty destinations, rivalries, and slow-smoked goodness. Some Texans debate barbecue the way others talk politics or the NFL. 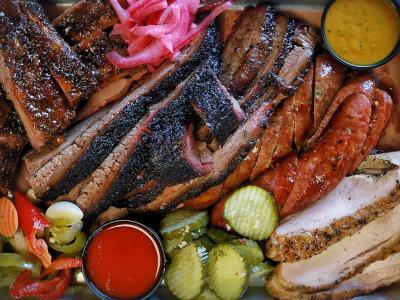 With an abundance of world-class barbecue joints throughout the state and more popping up all the time, it could be said that the golden age of Texas barbecue has arrived. We ventured to the most celebrated spots, because the only thing better than discussing barbecue is eating it. In the small town of Lexington, about an hour east of Austin, sits a place that existed under the radar until Texas Monthly hailed it as the best in the state. That was in 2008, and if business was brisk at Snow&apos;s BBQ before then, it&apos;s booming now. The famed spot, essentially an unassuming red shack and some picnic tables, opens only on Saturdays from 8 a.m. till everything&apos;s sold out. Pitmaster Tootsie Tomanetz, a spitfire in her late seventies, and her crew slow-smoke their meats starting at 3 a.m., ensuring a sumptuous feast. We showed up at 9:30 a.m. and were pleasantly surprised to find a small line, which only began to grow after we&apos;d been served. Then we ate, and all those accolades made sense. The pork shoulder falls away the instant you bite, the brisket is so flavorful it requires no sauce, the sauce does the miraculous by improving the brisket, the mayo-based potato salad is glorious, and the pinto beans are free. I saw nothing wrong with any of this. What&apos;s more, the service is superlative. Tomanetz, who&apos;s been smoking meat since 1967, often chats with customers, while owner Kerry Bexley and his staff are on hand with warm smiles to help. 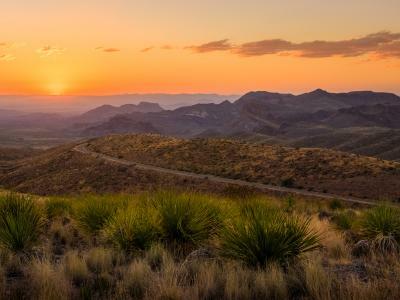 While Snow&apos;s accepts mail orders for its barbecue, nothing replaces a pilgrimage to the rural haven for a slice of Texas hospitality. There&apos;s a reason why customers wait for hours outside Franklin Barbecue, why the press hails it in frequent reviews, and why President Obama recently checked it off his Austin bucket list. Open since 2009, the eatery on East 11th Street lives up to the hype. Its menu features the usual spread of brisket, pulled pork, and other smoked meats, but the trick lies in owner Aaron Franklin&apos;s attention to process. Every morsel is prepared with love, patience, and an uncompromising commitment to quality. Our visit to the meat mecca, which involved a two-hour wait, was worth the early-morning effort. Franklin&apos;s pitmasters slow-smoke their brisket for up to 15 hours; the texture, seasoning, and consistency are so finely tuned that I threw my head back, closed my eyes, and entered an umami wormhole outside the bounds of space-time. Washing it down with a Mexican Coke and shoveling mounds of potato salad into my face, I harbored zero regrets about my choices that day. Texas&apos; barbecue belt is lined with dozens of stops. Put some notches on your own belt—just remember to loosen it afterward—by visiting some of these favorites. In Lockhart, there are Kreuz Market and Smitty&apos;s, two establishments owned by siblings who founded their joints after the dissolution of the legendary original Kreuz Market. Each keeps the tradition alive with succulent, lean brisket and superbly smoked meats all around. Kreuz eschews barbecue sauce altogether; that&apos;s how confident they are in the taste of their meat. Black&apos;s Barbecue in Lockhart also comes highly recommended. In the trendy Galleria area of Houston, there&apos;s the Luling City Market, whose smoky meat gets its flavor from a non-gas cooking process over post oak wood. Try their beef sausage and special mustard-based barbecue sauce; the restaurant grills throughout the week, too. For more than one Texas eatery, barbecue runs in the family. Smitty&apos;s and the current incarnation of Kreuz Market, respectively, were established by siblings Nina Schmidt Sells and Rick Schmidt. A third-generation joint, Schmidt Family Barbecue, opened in Bee Cave. And three children of Bobby Mueller, founder of Louie Mueller Barbecue in Taylor, own three joints in Central Texas, including the original.